Pegasus Jewellery is back with another equestrian inspired assortment - The Sparkle Snaffle Collection. You may have seen me wearing this new jewellery from Pegasus a lot just recently. The traditional (but right on trend) style is easy to wear and I'm very fond of the new design! "Perfect gift for the equestrian lady who likes a bit of sparkle." How have I lived without this adjustable ring for so long? I wear this on my thumb but mix it up and wear it on my fingers too depending on my mood. "The beauty of this ring is the added elasticity the silver makes it slightly pliable therefore it can be made to fit most size fingers. A stunning modern twist to the traditional snaffle." A gorgeous petite snaffle bit design that looks effortlessly chic. 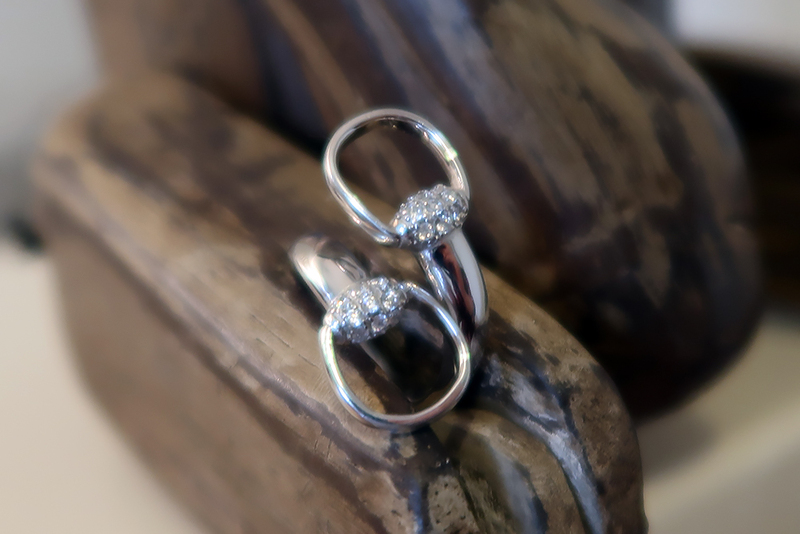 Both are made from Sterling Silver and have eye-catching CZ sparkle stones. Pegasus' enchanting new collection is splendid for country ladies who love Equestrian jewellery through and through. 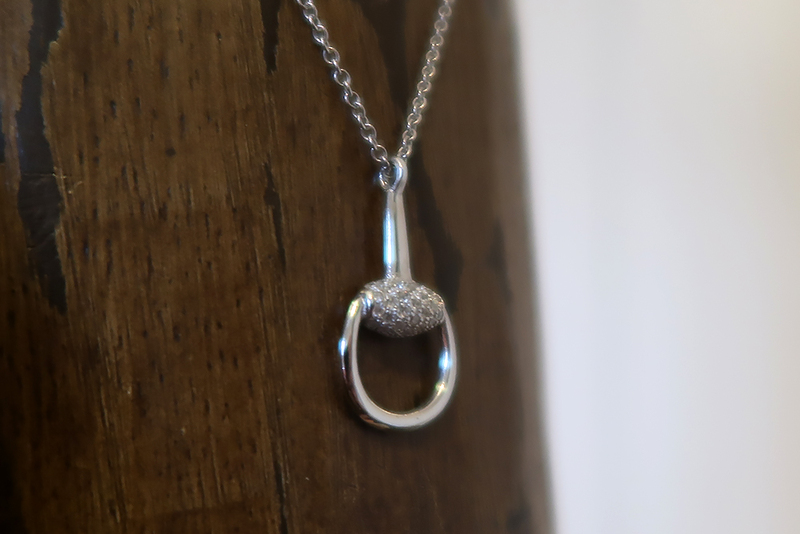 The Sparkle Snaffle Pendant is perfect for every day. 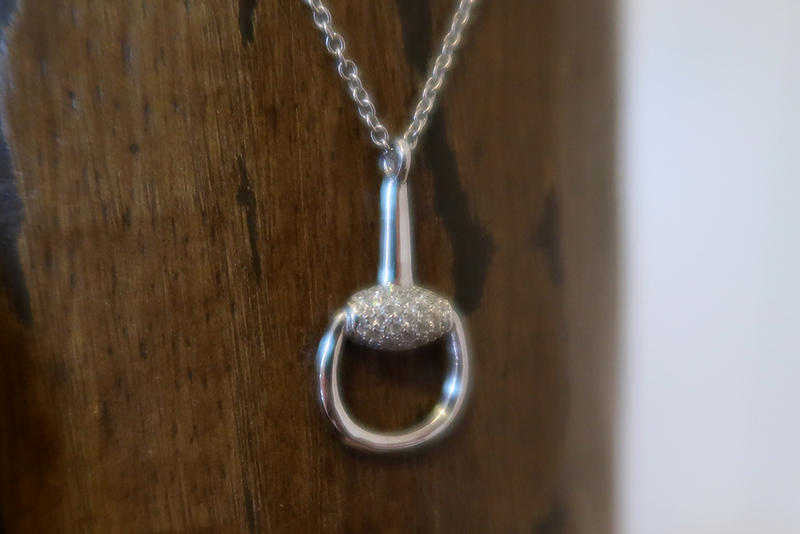 The petite sparkle snaffle pendant is delicate and sophisticated. I like the size of the snaffle bit; it's not in your face so it sits nicely on the decolletage. 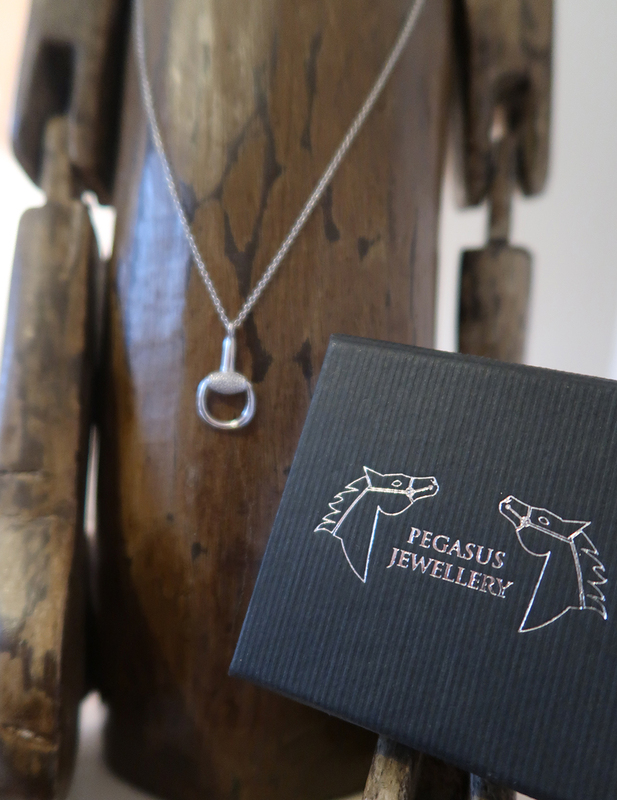 The length is longer than my other pendant from Pegasus (HERE) but is easy to wear with everything in my country style wardrobe and looks fabulous when mixed with other horse inspired jewellery from Pegasus. 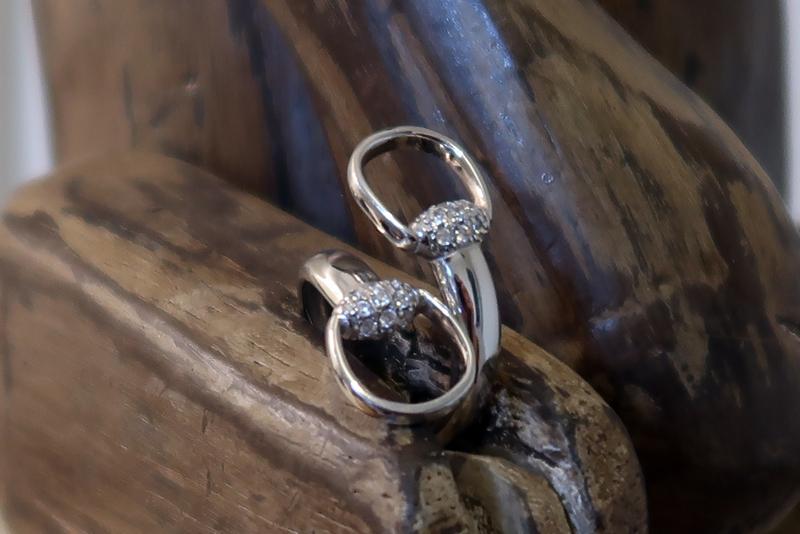 The dainty CZ jewels on both pieces add a hint of glam but in a graceful way. 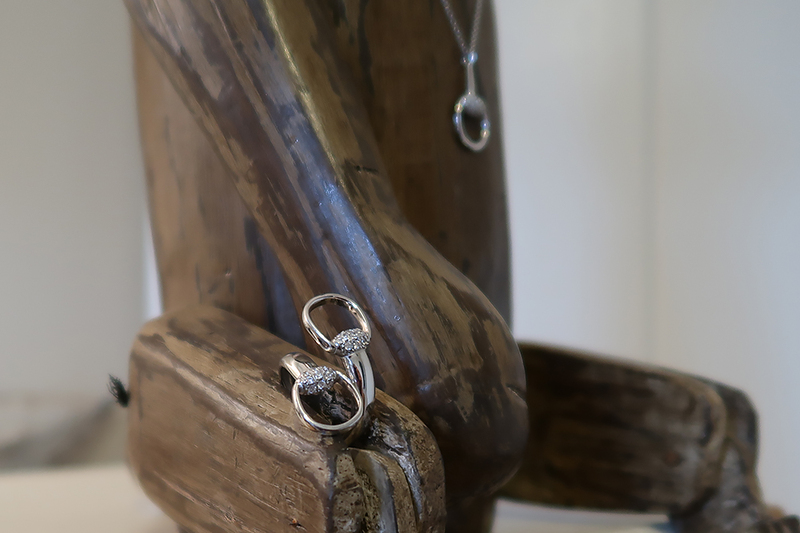 The wrap ring and pendant work beautifully together. 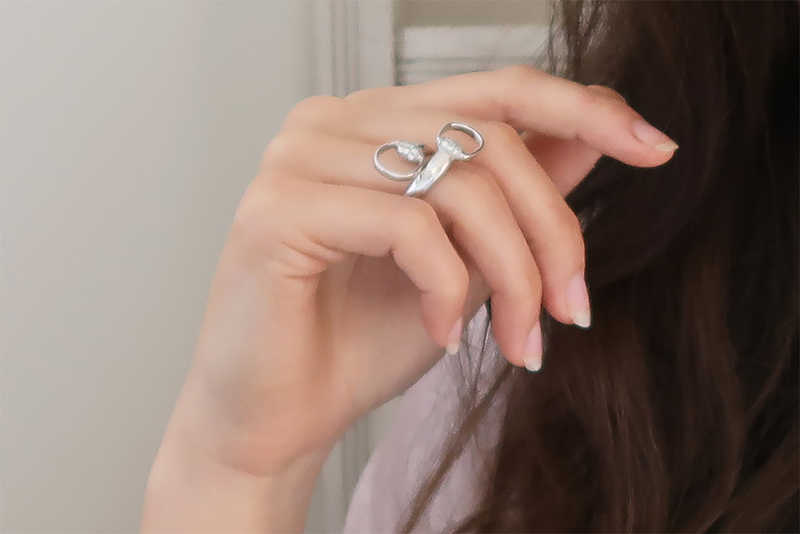 I wear the sparkle snaffle ring when I want to dress my outfit up a bit more and is also ideal for wearing in the evening. The design is edgy whilst still maintaining the equine style. It's a really clever piece of jewellery and I love the look. It feels sturdy too. I don't normally wear this every day because (due to the shape of the design) it can get caught on things and is far too gorgeous to wear when washing the dishes! With Summer round the corner I think this set will look fantastic with floaty, feminine dresses and sandals on warm summer evenings. "Part of the new S/S 17 Collection. Classy and sophisticated". What do you think of the sparkle snaffle collection? Are they are your wishlist? Find Pegasus Jewellery online shop here. Quotes in grey taken from www.pegasusjewellery.net. Products marked with an asterisk * have been donated to me for review. All opinions are my own and I will always be honest and truthful. Design, photography, wording. opinions and quotes (in gold and black) by self.